At my favorite watering hole in Manhattan, the topic often turns to a friend whom we, staff and patrons alike, miss something terrible. Because I still have contact with her, I'm often asked, "When are you going to see her again?" Then there are those who request that I give her a hug and a "hello" from them or deliver a small gift. We've been without our friend (and drinking buddy) for almost four years now, and our watering hole has not been the same. It was just down the block from the famed Chelsea Hotel (her home for decades), at East of Eighth Restaurant and Bar on 23rd Street in Manhattan, that many of us began to notice our friend's mind become a bit clouded approximately six years ago, and we became a bit concerned. It was the owner, staff and patrons of East of Eighth, along with others across the city, who kept a watchful eye over her in the contentious final years of her stay at the Chelsea Hotel. (East of Eighth owner Mickey Feldman insisted on feeding her every night for free.) With a deteriorating mind and body, our friend became vulnerable to the whims of real estate developers and greedy landlords, who, like most of society, don't have time for an elderly woman on a fixed income, regardless of her contributions to the world. We would soon discover that our friend, though a proud lesbian warrior who, had she served in the armed forces, would undoubtedly be decorated with every medal imaginable, has been largely forgotten by the very community that she fought so hard for, and the very community that still makes her smile. The person I write about is Stormé DeLarverie, a woman I've had the incredible fortune of engaging in conversation, laughs and multiple shots of vodka. The name may not ring a bell, but it should. Stormé, as in "stormy weather," has lived a life that, if it were a movie, would resemble Shaft, Victor/Victoria and Norma Rae wrapped in one and co-directed by Spike Lee and Quentin Tarantino. Imagine that! She has been described as courageous, rebellious, talented, shrewd, flamboyant, groundbreaking and boundary-defying and has lived a life that is quintessential pulp fiction. Rumored to have once had ties to the Chicago mob (a rumor that may have been spurred by her propensity to carry a switchblade and pack heat), Stormé, a New Orleans gal by birth but a New Yorker by heart, was one of the many subjects of famed photographer Diane Arbus, performed with the legendary Jewel Box Revue and played an integral part in the Stonewall riots, which many view as the birth of the LGBT rights movement. If you research Stormé's life, you'll find that she means many different things to many different people. It's important to me that I speak of my experiences with her within the context of eldership -- she being the elder and I the young'un. 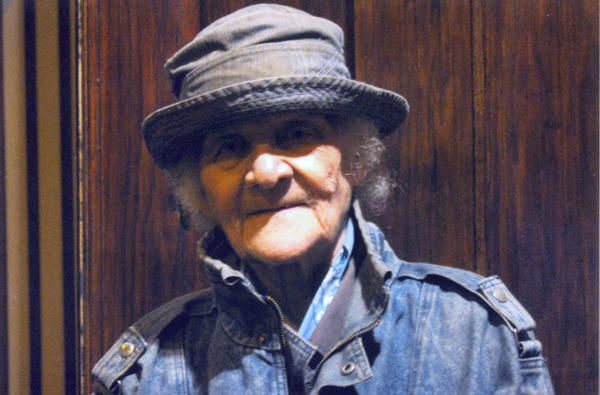 I met Stormé as a very young man at Henrietta Hudson, a popular lesbian bar on Hudson Street in Manhattan, around 1994. She was employed there as security, but I soon found out that the type of "security" Stormé resonates went far beyond ensuring order in a bar. She herself has said, "I see a lot of things in my position as a bouncer, but please don't call me that. I consider myself a well-paid babysitter of my people, all the boys and girls." I will admit to being very intimidated by Stormé (her swag still goes unchallenged in my book), but her tough exterior belies a heart that contradicted her "bark" in so many ways. In thinking of how I might relate my words with my earliest memories of Stormé, I was reminded of a young man I met a few years ago. This young lad was beating himself up over not doing more on civic level: not volunteering more, not mentoring more. I asked, "Do you live your life in a decent manner? Do you embrace who you are? Do you navigate life with a good heart?" He answered "yes!" to all, to which I responded, "Well, you are mentoring, for every time you leave your home or show up to work, or whenever you are visible, someone is watching, and someone is being inspired." This was exactly my relationship with Stormé from the outset. Before officially meeting her, I observed everything about her: the way she moved, her keen sense of awareness and the way she doled out the love to her "babies." Without either of us knowing it, she was already mentoring me. When you are a true elder, there is a comfort that you bring to those around you. In Stormé's presence I always felt safe, encouraged and compelled to respect not only those around me but my own place in this world. After she retired from "babysitting," Stormé and I spent many afternoons, evenings and late nights (never mornings... hmm, I wonder why...) at East of Eighth, with her regaling us with stories that extended back to her childhood in Louisiana, and her monitoring the crowd always with her protective, activist eyes. She was the grande dame and parental figure in residence, and she was always given the reverence and respect she was due. The years spent fighting a world where she was deemed "less-than" because she was a black lesbian woman and a gender bender who didn't give a damn occasionally caused Stormé to be too quick to jump the gun (pun intended) when she thought someone had been harassing one of her babies. (You should have been there for those moments.) Knowing that the streets of New York City were chock-full of her babies, she was on patrol around the clock, ever vigilant. I viewed Stormé's insistence on arming herself and being ready to rumble not as a commitment to vigilante justice but as a manifestation of the desire to survive. It sometimes seems that she thinks our survival is somehow predicated upon hers, parental instincts if ever I've seen them. In an era when everyone seems to have something to write about, and one when the LGBT community has been able to express itself in ways previously unheard of, I find it a bit odd and frustrating that very few seem to recognize someone who is surely a cultural and historical treasure. While we blog about and critique almost everything under the sun, have we started to take those whose shoulders we stand upon for granted? Indeed, it's quite baffling knowing that her contributions are not as celebrated as those of, say, the lovely older lesbian couple Phyllis Siegel and Connie Kopelov, or Edith Windsor, or even some non-LGBT folks (Little Edie Beale, anyone?). In a 2010 interview with The New York Times, Lisa Cannistraci, Stormé's friend (and now her legal guardian), who is also the owner of Henrietta Hudson, stated, "I feel like the gay community could have really rallied, but they didn't. The young gays and lesbians today have never heard of her, and most of our activists are young. They're in their 20s and early 30s. The community that's familiar with her is dwindling." I agree with Ms. Cannistraci. I've considered all the reasons why Stormé seems forgotten while those with half her courage or contributions bask in the spotlight. Quite honestly, I don't know the reason, but I do know that with all the power and cash the LGBT community wields today, it should be impossible for us to imagine a gay icon who gave so much to our community and movement living out her final years in relative obscurity in surroundings as unfamiliar with her as she is with them. The Chelsea Hotel, a building rich with history, was one befitting the personality that is Stormé. Whenever I visit her now, I find that I'm able to hold back tears only until I'm in the elevator on my way out. I typically sob knowing that, despite doing the best they can, the staff at the nursing home in Brooklyn will never appreciate her the way she should be. Has that also become true of the LGBT community? From a stellar career as a well-respected talent whose baritone voice gave her entry to many a venue, with the highlight being the Jewel Box Revue, a racially integrated drag troupe that performed from 1930s to the 1960s, to the night of June 27, 1969, when it may have been she who threw the first punch, sparking the Stonewall riots, Stormé has proven herself legendary over and over. With Women's History Month in full swing, and with the recent unveiling of the Rosa Parks statue in the United States Capitol, I think it's most appropriate to consider honoring the "Rosa Parks" of the LGBT community. While many await declarations of who's worthy of respect, admiration and accolades from entities like the government or media outlets, I encourage all to honor those most accessible to us. In this case, we have a legend who is still accessible to us, and I truly hope that we are able to gather together and pay our respects to her in a way she deserves. During the 1980s, as New York and cities across the nation were struggling to deal with the onset of the AIDS epidemic, the rumors and misinformation regarding the epidemic resulted in a huge amount of unwarranted hostility, fear and violence, as well as a lack of medical services available to those who suffered from the virus. As a result, the Volunteer Department at Saint Luke's Hospital recognized the need to create the AIDS-Friendly Visitor's Program, whose mission was not only to provide a social setting but to assist with daily needs and advocate for those who were hospitalized with the virus, many of whom had largely been disowned by both family and friends. I was given the opportunity to be the Volunteer Coordinator of an evening and weekend program. Unfortunately, thanks to to the lack of treatment and understanding of this virus, not only was there no cure but the projected life expectancy of those suffering was short at best. As that first Christmas season approached, well aware that for many of those in the program, this could very well be their last, we knew that we needed to make this as memorable and joyful as the circumstances allowed. We wanted to buy presents not only for those in our care but for those who still had contact with their families and children, so that they would have something to give their loved ones for the holidays. But there was one minor detail we had overlooked: There was no money for this. Everyone involved came to the only conclusion available: We had to go out and canvas our friends and neighbors for donations. One night, in Clair's Restaurant, I approached Stormé and asked her if she would be willing to provide a $5 donation. I told her what we were trying to do, and when I had finished, she turned to me and asked, "Are you going to be here for a few hours, baby?" I told her I would be, and several hours later Stormé walked back into the restaurant with over $2,000. I was speechless and unable to find the words to thank her appropriately, but Stormé simply said, "I'll meet you here tomorrow with more." She was true to her word. I wish I could convey to you the look on those children's faces when their mothers and/or fathers were able to give them presents on that day. Stormé didn't do it just for this one occasion. For years to come, as the holidays approached, she would come up and remind me, "It's time to get busy! It's time to help the patients and the children." Stormé is one of our community's greatest legends and treasures. She is not only a soldier fighting for our rights and acceptance but a reminder that even in times when it seems that nothing can be done -- times like the AIDS crisis, when it seemed useless to try -- if nothing else, we can take care of each other, and that we all have the extraordinary ability to perform ordinary miracles. In Stormé's words, "It aint easy being green, sho'nuff!" I salute you, Stormé! We salute you!